These are my favourite bars I’ve made so far. 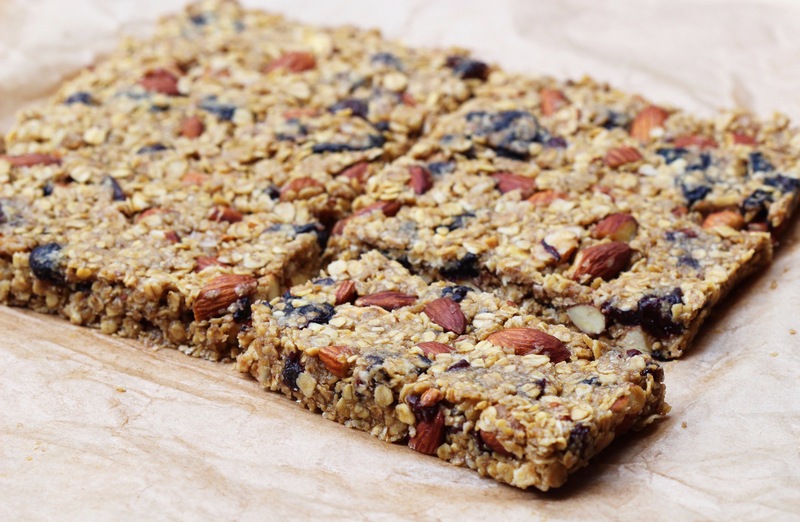 They just have the best texture with the combination of chewy oats and crunchy almonds and the flavour of the cherries and vanilla is hard to beat. Apart from roasting the almonds (which is so worth it, don’t skip it!) they take less than five minutes to prepare, then once they’re set you can slice them up for the whole week. If your lucky enough to have some gorgeous fresh cherries all the better, just dry them (pit cherries and cook at 100’C for 3-4 hours) and if there’s any extra you have to give my Summer Cherry Bark a try! Preheat the oven to 180’C. Roast the almonds at 180’C for about 8 minutes. Then set them aside to cool. Add half of the gluten free oats to your food processor and blend until fine. Add them to a large bowl with the rest of the whole oats. Roughly chop the roasted almonds and dried cherries and add them in too, mix it all together well. If you’re adding cinnamon add this now too. In a small saucepan combine the melted coconut oil, honey, coconut sugar, vanilla, water and a pinch of coarse salt. Let it bubble, whisk well and then take it off the heat. Line a baking tin with parchment paper and then press the mixture firmly into the tin. 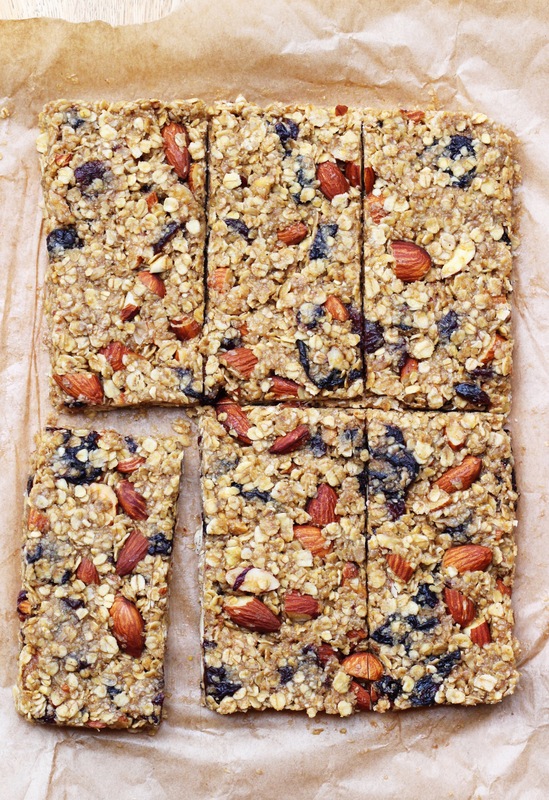 Pop them in the fridge for about an hour, then slice into bars. I love the sound of this recipe however I am not crazy about cherries. Is there anything you would suggest replacing them with? Do you think cranberries would work? these look delicious. do you think they would do ok freezing? im thinking of making a huge batch as a great afternoon snack for my kids. Hi, Quick question, what is ‘vanilla’ is it the pod of paste, and do you know where I can buy it in Dublin?I am planning on making these soon, they look great! Will be trying this recipe soon, really looking forward to the crunchy texture as I usually do bars in food processor. Are they two different ones or just a typo?